Ghent University is a top 100 university and one of the major universities in Belgium. It hosts ePIXfab through the Photonics Research Group. With its 8 professors and 80+ members this group works on a broad variety of research subjects in the field of silicon photonics. This encompasses novel device concepts, heterogeneous integration technologies and design methodologies as well as application and system oriented work in the fields of telecom, datacom, sensing and life science. The group is associated to imec and has a long track record of designing into the standard SOI-based iSiPP50G platform of imec as well as its silicon nitride based BioPIX platform. For heterogeneous integration – in particular III-V on silicon integration – the group uses well equipped clean rooms of Ghent University. AMO is a non-profit high-tech SME specialized on R&D for micro- and optoelectronic applications. We offer waferscale customized photonic device services fabricated in our clean room based on SOI substrates and silicon nitride on oxide. We have many years of proven expertise in nanofabrication for high quality nanophotonic passive and active devices. BRIGHT Photonics provides business and research with photonic IC (PIC) expertise. In case of product development customers profit from a reduced time to market by avoiding pitfalls and by selecting the right solutions for PIC and package. You want to design yourself? Then BRIGHT assists with state of the art specialised open source software solutions Nazca-Design, training and functional IP-blocks. Design validation maximises your chance of PIC success for any given foundry. Do you have a clean room? We help you implement a custom PDK. BRIGHT where you need it. Brolis Semiconductors develops novel long-wavelength infrared devices and systems for medical, sensing and defense applications. Company runs a state-of-the-art III-V MBE and laser diode facility and is actively engaged in developing beyond state-of-the-art hybrid GaSb/SOI photonic devices and systems for bio sensing applications in the spectral region beyond 2 microns. 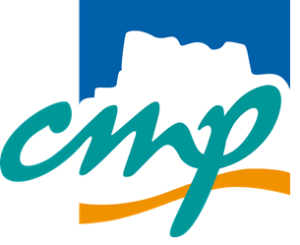 CMP is a MPW service organization in ICs, Photonic ICs and MEMS for prototyping and low volume production. The prototypes are fabricated on industrial processes for Universities, Research Laboratories and Industrial Companies. Since 1981 more than 1000 Institutions have been served and 71 different technologies have been interfaced. 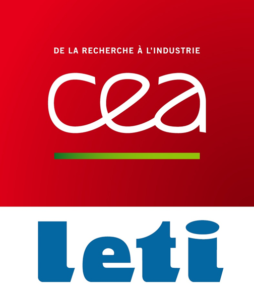 Within CEA, CEA-LETI is one of the major European research centers for applied electronics serving innovation and the transfer of technology in key domains. It operates 11000 m²-State-of-the-Art CMOS clean rooms, 200 and 300 mm wafer size with ST microelectronics as the main industrial partner. From 2002 CEA-Leti has developed strong expertise in silicon photonics field and know how in devices’ design, integration and test, including Ge-on-Silicon photodetectors and heterogeneous III/V-on-Silicon lasers. The IMB-CNM belongs to the Consejo Superior de Investigaciones Científicas (CSIC), the main research institution in Spain. Our institute activity in technologies, devices and integrated circuits based on the traditional Silicon Microelectronics, has evolved into a robust Si3N4/SiO2 platform for biophotonics, tele/datacom and sensing applications, from the VIS to the long NIR wavelength spectrum. Imec is a world-leading R&D and innovation hub in nano-electronics and digital technologies. With its 3500 researchers it performs industry-relevant research in nano-electronics and creates groundbreaking innovation in application domains such as healthcare, smart cities and mobility, logistics and manufacturing, and energy. In its 200mm CMOS pilot line imec has developed the state-of-the-art silicon photonics iSiPP50G platform, which is accessible both through MPW-service as well as through dedicated engineering runs. Imec has also developed a silicon nitride based photonic integration platform BioPIX, which will be MPW-accessible in the future. For all its silicon and silicon nitride photonics research work imec collaborates closely with its associated Photonics Research Group at Ghent University. The Department of Photonics encompasses a broad spectrum of research topics covering the continuum from fundamental research to the development of new photonic devices. In particular, silicon photonics activities cover a wide range of applications, including quantum information, optical communications and interconnects, optical signal processing, and sensing in the visible, near- and mid-infrared wavelength ranges. 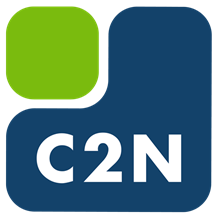 C2N has a large experience in design, hybrid integration (III-V, nanotubes, graphene, oxide…), fabrication in its own cleanroom, and characterization of photonic and high-bandwidth optoelectronic devices. DTU Fotonik is a department at the Technical University of Denmark covering many aspects of optical engineering. About 220 researchers are employed at DTU Fotonik, including around 90 PhD students. The department is engaged in silicon photonics activities both in the university cleanroom and though active collaboration with leading players. EPIC is the industry association that promotes the sustainable development of organizations working in the field of photonics in Europe. EPIC publishes market and technology reports, organizes technical workshops and B2B roundtables, supports EU funding proposals, advocacy and lobbying, education and training activities, standards and roadmaps, pavilions at exhibitions. 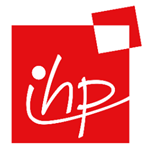 The IHP is an internationally recognized competence center for silicon-germanium based technologies, focusing on applications in broadband wireless and optical communications. IHP develops and offers silicon photonics in a unique monolithic 200mm ePIC (electronic photonic integrated circuits) platform featuring high-performance BiCMOS electronics and SOI-based photonic integrated circuits. LiGenTec is offering wafer scale fabrication of SiN PIC for applications in telecom/datacom, quantum optics, optical (bio-)sensing. SiN is one promising material for photonic integration due to its large bandgap from the visible to the mid-infrared spectrum. Low loss waveguide technology together with low bending losses for thick film nitride enables new applications. LioniX International focuses on Photonic Integrated Circuits (PIC) enabled modules based on its proprietary waveguide technology (TriPleX™), in addition to its other core competences micro-fluidics, opto-fluidics and MEMS. As a vertical integrated company it delivers a complete solution to OEM customers: from initial design through volume manufacturing of products. Luceda Photonics wants photonic IC engineers to enjoy the same first-time-right design experience as electronic IC designers. Our IPKISS design tools and services are rooted in over 50 years of experience in silicon photonics design. We develop process design kits (PDK) and design and validate your photonic integrated circuits. Sant’Anna School of Advanced Studies is a public university institute – with special autonomy – working in the field of applied sciences: Economics and Management, Law, Political Sciences, Agricultural Sciences and Plant Biotechnology, Medicine, and Industrial and Information Engineering. Pioneering photonics design automation already since 1991, today PhoeniX Software has a global presence and is a trusted and well-recognized partner for a large number of organizations. We enable an easy and cost-effective realization of integrated photonics chips and systems by our internally developed superior products and services. Photon Design, founded in 1992, is a leading vendor of photonics CAD tools for integrated optics, both passive and active. It pioneered sophisticated methods ideal for the simulation of high index contrast structures used in silicon photonics. STMicroelectronics is a world leader in providing the semiconductor solutions that make a positive contribution to people’s lives, today and into the future. Offering one of the industry’s broadest product portfolios, ST serves customers across the spectrum of electronics applications with innovative semiconductor solutions for Smart Driving and the Internet of Things. 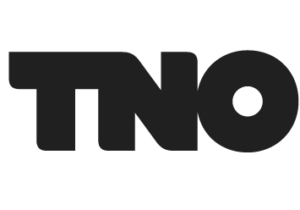 The Optics Group at TNO has expertise on a broad range of optical technologies, ranging from classical optics and free-form optics to fiber- and waveguide optics and metamaterials. Our main research topic in silicon photonics is biosensing by means of ring resonators, where we follow a system approach, addressing the entire system consisting of sensor, read-out unit, optical interface and data processing. The Photonics Packaging Group at the Tyndall National Institute is involved in a larger number of research projects developing packaging solutions for integrated photonics device, including optical (fiber and micro-optics), electrical (RF and DC), thermal and mechanical aspects of the package. The group also supports a photonic packaging foundry service, for both Si and InP-based integrated photonic devices. The department of photonics at TU Berlin develops components and systems for integrated optics based on SOI (silicon-on-insulator). The department collaborates closely with IHP (Innovations for High-Performance Microelectronics) via Joint Lab Silicon Photonics. The collaboration has established a front-end integration line for the realization of novel optoelectronic circuits using a SiGe BiCMOS toolkit. KIT is one of Europe’s largest education and research organization with about 10 000 employees, 25 000 students, and an annual budget of more than 800 million Euros. It bundles the missions of a university and of a large-scale research institution. KIT’s research profile has a focus optics and photonics. The Southampton Silicon Photonics group was founded in 1989 at the University of Surrey, and moved to Southampton in 2012. The group has contributed to numerous world leading results since its inception, particularly concerning Silicon optical modulators. The group forms part of the Optoelectronics Research Centre at Southampton. The Nanoscience Laboratory (NL) studies nanophotonics, silicon-based photonics and nanobiotechnologies. Its mission is to generate new knowledge, to develop understanding and to spin-off applications from physical phenomena associated with photons and nanostructures. In particular, NL works on applying the nanoscience paradigm to silicon or silicon compatible materials to develop micro and nanosystems compatible with the main driving silicon microelectronics technologies. Nowadays, a particular emphasis is placed on nonlinear and quantum photonics and their applications. The Institute of Integrated Photonics of RWTH Aachen University is involved in a number of Silicon Photonics research activities focusing on near-infrared data center transceivers, visible wavelength planar integrated circuits for life science applications and mid-infrared group IV lasers. A strategic alliance with the Forschungszentrum Jülich (JARA) and its Peter Grünberg Institute complements our core expertise in photonic devices and systems with world class material science. Aarhus University is the largest Danish university and typically ranked among the global top-100. The Photonics group, as part of Electrical and Computer Engineering, specializes in photonic integration, with main interests in microwave and terahertz photonics, and chip-to-chip and on-chip interconnects, using a fabless approach. NTC is a research center at the Universitat Politècnica de València (UPVLC) that develops silicon photonic devices and systems using a 150mm wafer silicon processing fab. It operates as an integrated photonics service fab offering rapid prototyping and small-series manufacturing silicon photonic devices, including Back-End (packaging) services. NTC plans to upgrade the current processing platform to 200 mm in 2017. The Universitat Politecnica de Valencia is one of the four technical universities in Spain. With over 30.000 students, if offers over 30 degrees in civil, electrical, industrial and aerospace engineering. The main research activity in Silicon Photonics is in the area of integrated microwave photonics, quantum information and photonic devices for signal processing and biophotonics. VTT is one of the leading research and technology companies in Europe. It provides expert services for customers and partners in private and public sectors around the world. VTT has developed silicon photonics in its own fab since 1997 and now offers related MPW, R&D, packaging and contract manufacturing services. VLC Photonics is an independent design house providing all kind of services related to photonic integration: chip design and in-house testing, plus manufacturing and packaging through several external partners. For silicon photonics, VLC Photonics tightly collaborates with all European foundries (IMEC, LETI, IHP, VTT) as well as packagers (Tyndall). VPIphotonics provides for 20+ years simulation software and design services addressing photonic and optoelectronic components and integrated circuits, fiber-optics applications, optical transmission systems and networks. Offered off-the-shelf and customized solutions are valued for their powerful and comprehensive simulation capabilities and high degree of flexibility. PDKs for various technologies are supported via pluggable toolkit extensions supporting the design of monolithic and hybrid integrated structures.